The Courier is a light utility transport developed from a civilian design first tested in 1949. Its short takeoff and landing (STOL) capability allows it to operate from a clearing the size of a football field and its ability to fly very slowly at speeds of approximately 24-35 mph makes it an excellent aircraft for visual reconnaissance. The original version of the USAF Courier made its first flight in 1958. 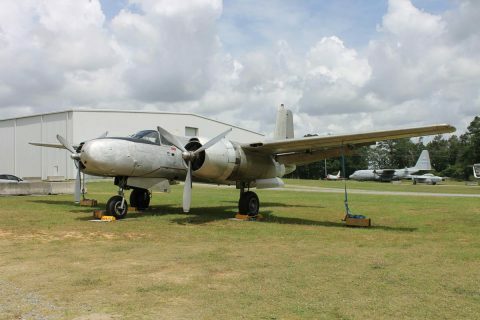 The USAF purchased three aircraft for evaluation the same year, designating them L-28As and later re-designating them U-10As. Eventually, more than 100 additional U-10s were ordered, mainly for use by air commando units in Southeast Asia. 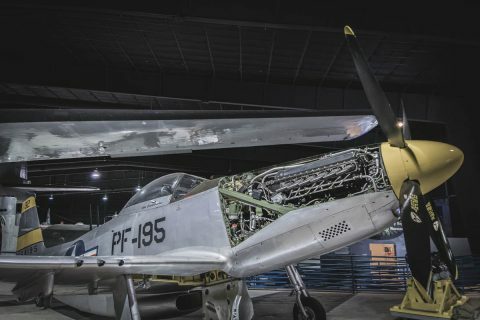 It was used for liaison, light cargo, small supply drop operations, psychological warfare (dropping leaflets and broadcasting propaganda), forward air controller and reconnaissance missions. 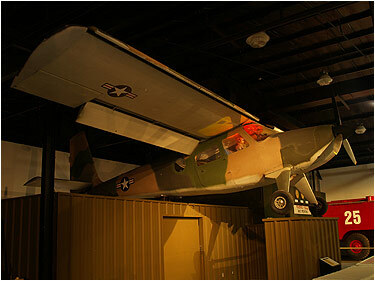 Warner Robins Air Logistics Center was responsible for all logistics support for all USAF U-10s worldwide during their service. This U-10B is one of 57 procured for the USAF which differed from early U-10s because of its extended range. It was delivered to the USAF in March 1965 and assigned to the 129th Air Commando Group (ANG) Hayward Airport, California. It was later transferred to Hurlburt Field, Florida and was retired from the 1st Special Operations Wing at Hurlburt in July 1973. 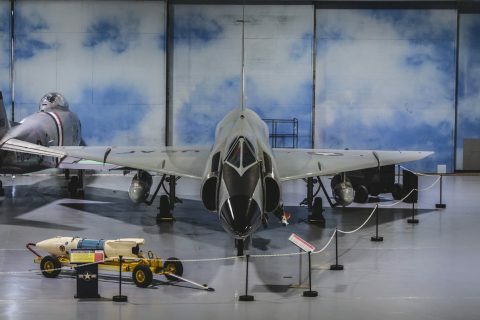 It was acquired for display at the Museum in 1987. Engines: One Lycoming GO-480 six-cylinder engine of 295 hp.